Looking to get more power for your Jeep Wrangler JL? 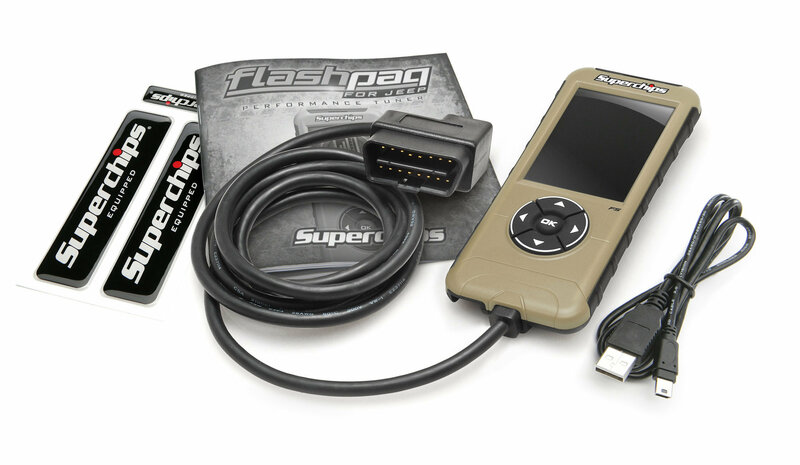 The Flashpaq F5 Programmer by Superchips offers powers gains up to 29 Horsepower and 37 lb-ft Torque. 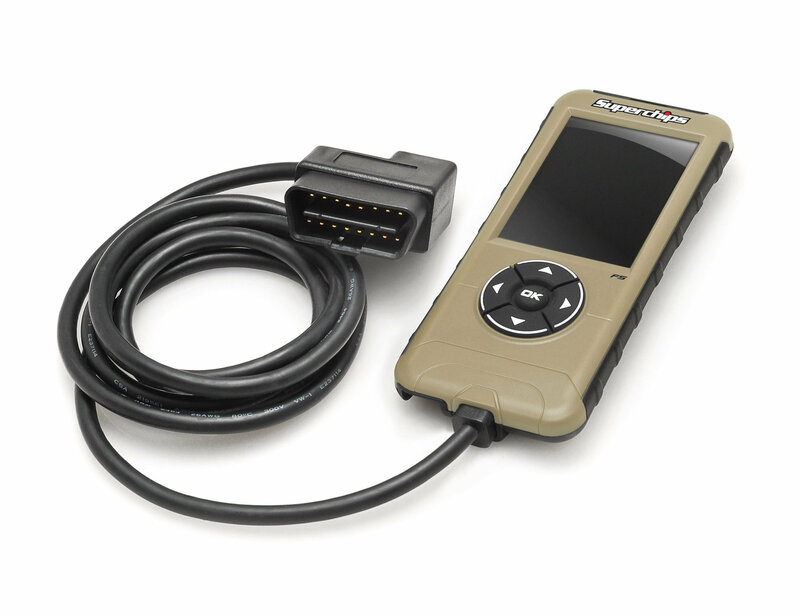 This handheld unit will allow you to re-calibrate for tire size changes, gear ratio changes, and many more options. Making your JL even more offroad capable. 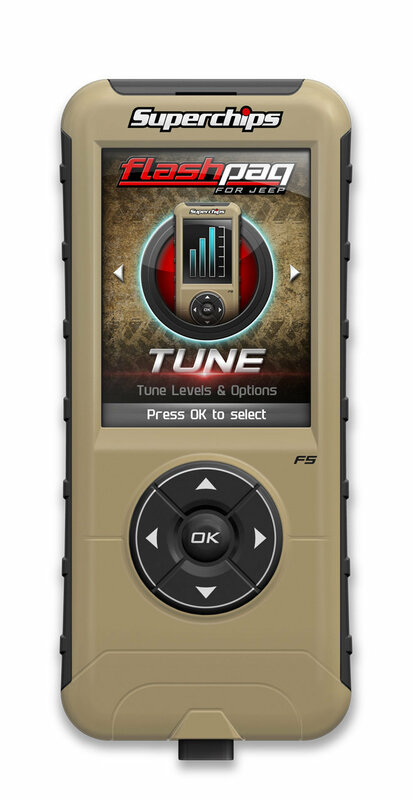 This product requires an PCM swap in order to tune your Jeep. Please read the attached installation instructions below as this product is significantly harder to install then previous models. With 2 options for swapping out your PCM Superchips makes this process as quick and painless as possible. 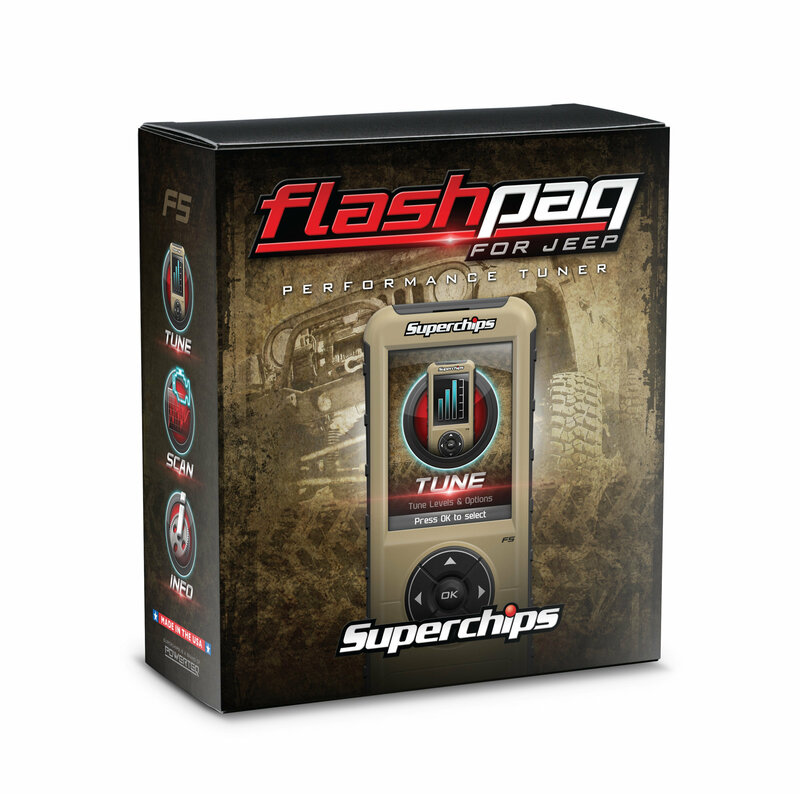 Option 1, Superchips will ship out unlocked PCM and provide a return shipping label to send back your factory PCM. (subject to availability of PCMs) Option 2, Send in your Factory PCM to be unlocked. Tire Size Range - 25" to 41"